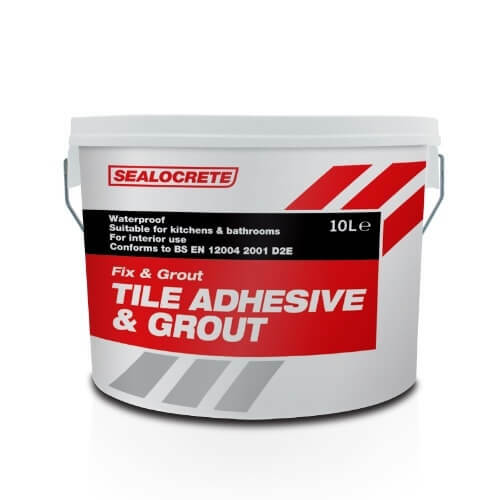 Sealocrete Fix & Grout is a ready to use, waterproof wall tile adhesive and grout, suitable for fixing ceramic wall tiles to most surfaces. Suitable for use in bathrooms and kitchens or areas subject to frequent dampness. For internal use only.